Renault is introducing a new used car programme to its 21 Renault Selection dealers nationwide, which is designed to provide a 'Buy Today, Drive Today' service so that once you find the used car you want, you can drive it home right away. The offer now includes a two per cent APR finance package on all Renault Select approved used cars, along with two years' warranty and two years' roadside assistance. 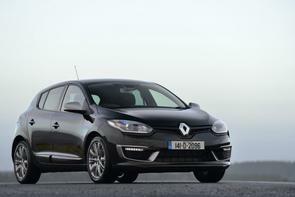 The offer is available on all Renault and Dacia models, up to six years old, until the 29th of September. As part of the Renault Selection programme, if the car you buy develops an irreparable fault in the first 30 days, or 1,000km, from date of delivery, it will be replaced by one of similar value from the selection. Brian Quinlan, Used Vehicle and Business Development Manager at Renault Ireland said: "We are delighted to announce these offers exclusively available at Renault Selection dealerships for August and September, which are designed to reduce the cost of owning a quality used car." For those looking for a better deal again, Renault will be holding a Super Selection sales event from Thursday 27th September to Saturday the 29th.